Posted on September 18, 2012 by Julia	by Julia. I’ve canned a lot of apples in my life. Apple butter, apple jelly, apple pie mix etc. but I’ve NEVER thought of just freezing them before. So incredibly easy! 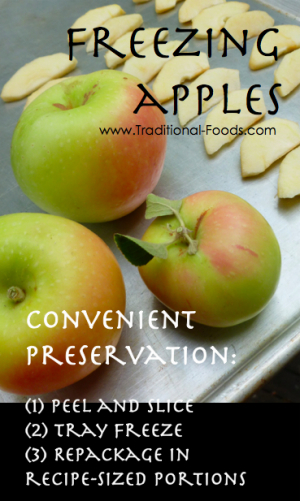 This fall I will definitely be preserving my apples this way too! Check out Traditional Foods for more information. 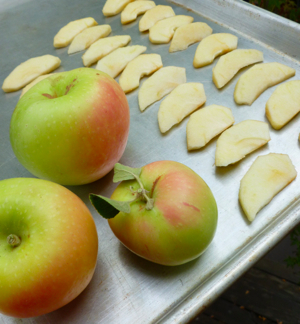 via Freezing Apples (How to Freeze Apples).